Every year, around this time, as the United States approaches its national day of commemoration -- for those who have given their lives in the various wars fought by U.S. troops -- aptly called Memorial Day. 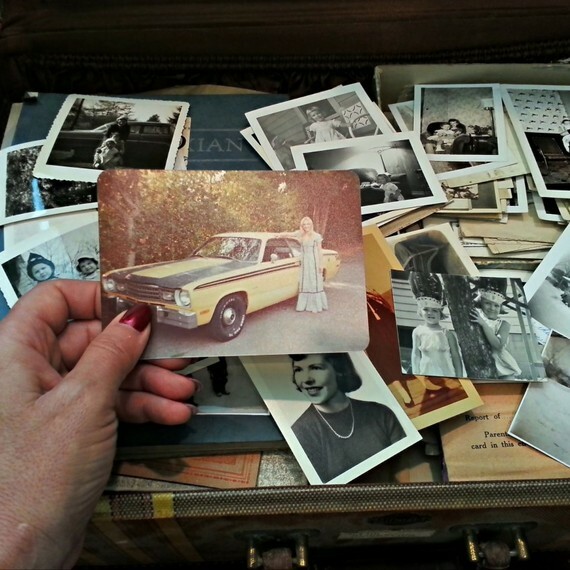 I am struck by the nature, the very essence of memory and what it really means, what it can achieve and the flip side -- the deep harm it can catalyze. Coming from a family with a tradition of military service -- my grandfather in WWI, my uncle in WWII and my father in the Korean Conflict -- the day actually is a poignant one, redolent with parades and flags and stories culminating in the family BBQ. Today, across the U.S., it is more known for the big sales events on everything from cars to socks, which add up to a memory component not unlike a Snapchat picture. Now you see it; now you don't. Last year I asked "Have We Forgotten How to Remember?" the implication being that in a world where anything and everything I need to know is nothing more than a click or swipe away, will the very notion of memory change? And if so, what does that mean for us emotionally as human beings? So what is memory... really? Etymologically, the modern English word "memory" comes to us from the Middle English memorie, which in turn comes from the Anglo-French memoire or memorie, and ultimately from the Latin memoria and memor, meaning "mindful" or "remembering." "Persistent modification of behavior resulting from experience." Makes you wonder about the efficacy of so-called real-time predictive targeting -- in fact, AOL recently published Buying at Speed, a study of 20,000 online shoppers that showed people browse brands every day and make up their minds before conscious shopping begins -- by the time data-directed marketing begins, they've already decided meaningful memory -- Karma to Desire.... "For 54 percent of planned purchases and 50 percent of impulse purchases, buyers knew the brand they would buy before they shopped." On one hand some say that the total storage capacity we have in our heads is at best a quarter of the power in an external hard drive that can be bought for under a $100US. Don't know about you -- that did not make me feel very special, also considering it was on sale for Memorial Day. On the other hand -- and this is the key -- because of the complexity of our neurons, because of the serendipity of our human state, our true memory storage capacity might be according to something more akin to 2.5 petabytes (a million gigabytes) or enough to hold three million hours of video, which is equal to running a continuous stream for about 300 years... Now that made me feel macho (in a non gender sense, for the PC) and more worthy in the human vs. machine debate. And by the way, we are also efficient -- we power all that capacity with a mere 12 watt equivalent. Would a machine even be able to achieve that much storage? It would require the electrical equivalent of a city to keep it running... GO HUMANITY. Just look at the United States in the past two years and the growing racial strife over police and their actions. Follow the debate over just what did the Pope say or not say to Palestinian leader Mahmoud Abbas. Yet we have recovered from WWII and former enemies are now staunch allies, and I have written about Vietnam, where a war of not so long ago is remembered but as leverage to build on and move forward from. I am back to the human condition and our need to understand that algorithms alone do not solve the problems of the world, cannot replace or replicate the human factor, will never be the panacea needed to right what's wrong. We need to work on human memory -- and whether it's in business where we need to link the "karma and desire" or in our personal lives where we need to learn that our memories are often faulty -- at best - and even so should be understood as "mindful" -- a guide if you will -- not the be-all and end-all. And yet, what are we without memory? What are our endeavors without memory? Who are we without memory?